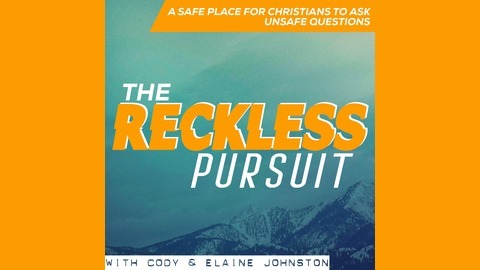 A Safe Place for Christians to Ask Unsafe Questions - We are for the spiritual nomads, the outcasts, and the ones who desire to ask the hard questions. A shelter in the desert, a safe place to share our thoughts, our hopes, and our dreams. We are pursuing the Truth and we don’t care about the consequences. We invite you to come and sit at our table and be a part of our tribe. We are brave. we are bold. We are, The Reckless Pursuit. 061 - Is the Bible Inspired? DETAILS: What do we mean when we claim the Bible is inspired? What even is inspiration? Is the Bible infallible? What about all those contradictions? This week, we are discussing is the Bible inspired. We talk about how a single verse can mean different things to different people, how people can misuse scripture as a weapon, what personal convictions are, the differences in conviction and shame, what inspiration means, and so much more. This episode is LOADED! --- DEFINITION: in·spire: /inˈspī(ə)r/ - of extraordinary quality, as if arising from some external creative impulse. --- RESOURCES: Is The Bible Inspired? (video) - https://www.youtube.com/watch?v=DZ8FddG2gho Itunes: https://itunes.apple.com/us/album/is-the-bible-inspired-single/1451382322 Spotify: https://open.spotify.com/album/0eCXLucPUABBKA4bNpXssl?si=43200sQUS6SamO8pSMZA1Q --- WEEKLY QUESTION/s: • How does the Bible inspire you? We’d love to hear from you! send your response to mail@therecklesspursuit.com or find us on social media! Links below! --- PROJECT OUTCAST: A visual representation of the mission here at The Reckless Pursuit. 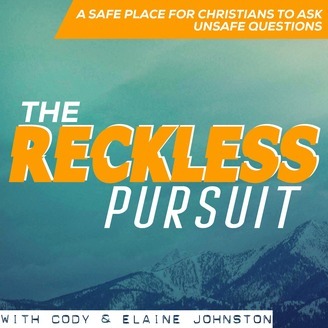 Find more info here: https://therecklesspursuit.com/projectoutcast/ --- JOIN THE COMMUNITY: If you'd like to keep the conversation going, we want to invite you, our reckless listeners, to join The Reckless Community! Follow this link and ask to be a part! http://bit.ly/trp_community --- CONNECT: Web: http://therecklesspursuit.com/ Facebook: http://bit.ly/trp_fb Youtube: http://bit.ly/trp_youtube Twitter: http://bit.ly/trp_twitter Instagram: http://bit.ly/trp_insta --- Hey listener! If you don't mind, take a moment to subscribe/rate/review our show! It will only take a moment, it keeps you updated whenever a new episode airs, and it would help us out a ton!